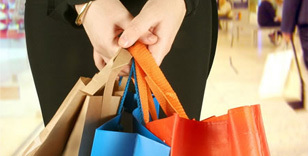 Detailed information and reviews of Connecticut shops, stores and malls - clothing stores, jewelers, electronics stores and gift shops . Find companies offering wedding services and florists. Get no obligation price estimates and quotes. 24k gold plated spoons (3), forks (3), and (2) tea stirrers (miniatures) - What is the worth of the above miniatures? They are 24k gold plated stainless flatware. 1849 original legend of sleepy hollow - I would appreciate advice on this piece, value.... Looks like it was created in 1849... MDCCCXLIX...need to see photos, fragile item. Changing hoop attachment on gold earrings to a post - Gold hoop earrings that are about 1.5 in in diameter. I would like the loop attachment removed and a post put on. What is a reasonable estimate? Interested to see if its worth something - A dining room table with tiger head and paws on the pedestal with a barrel style. How much is it worth. The old lady said its from Germany 1960. Glass hatchet - Glass hatchet about 7 inches long, handle is brown with the words Whitingham, VT in gold.